Dan O'Brien, Cerulean Dreams. CreateSpace, 2011. Pp. 345. ISBN 9781467971201. 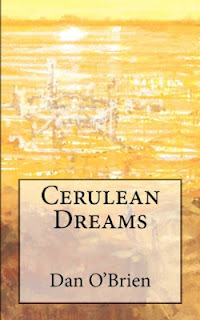 Cerulian Dreams is a self-published dystopian/noir novel by prolific author and screenwriter Dan O'Brien. The book discusses a potential method for and the effects of population mind control. The story is told from the point of view of a retired detective who is trying to help a young girl escape the city and the obsessively controlling government. The story evolves as they discover deeper truths about the origin of Cerulean Dreams. A story with a lot of action and huge promise, perhaps leaving the reader a little too detached from the characters, but with powerful and futuristic social ideas that are well explored. From a technology and political perspective, this book is firing on all cylinders. I think right now many governments are asking themselves how they can control their populace now that they can no longer control the media. This book presents an interesting theory on exactly how that can be done, and why it would be embraced by the consumer. I felt like Cerulean Dreams's promise to the consumer is something that would and could be bought. And I felt like the political consequences, and the opportunity for the abuse of power which could come from this, were well developed. Given the subject matter and the believable technology, I wanted to like this book. And given that the story focused on a individual's limited point of view and their part in an action-driven plot, I truly expected to enjoy this book. Unfortunately, the manner in which the story was told threw me out of the story repeatedly and constantly. The first major problem is the point of view the story is told from. The vast majority of the book is told from the viewpoint of a wide-angle camera lens. You can see people flinch, but you don't know why. You see people get angry, but you neither feel their heat nor understand their motivations. You are a passenger on this ride, hanging above the action, and there is nothing to engage with. The vast majority of actions taken, or decisions made, come without any explanation from the character. Unless we see their hand waver, we never know if the protagonist doubted their choice for a second. The few times we hear his thoughts, they are confident and decisive. The result of each fight is never in doubt. It really comes across as if the protagonist is bragging to us about their part in the story. And I as the reader felt about as engaged as I do when someone else is bragging about their actions. My mind wanders off. At random, the point of view will drop into the mind of a character for a brief, usually no longer than one or two thoughts, subjective insight. It's not tied to a scene, and it doesn't happen predictably. On one page it dived into the heads of three different characters in less than 300 words. This was a demonstrable all-knowing omniscient point of view. But it happens at random, sometimes almost nauseating in how it flips the viewpoint around. The author has the protagonist remain a consistent hard grit character, but all of the supporting cast shift around, rarely behaving consistently with previous actions. They routinely express sentiments completely at odds with all previous actions in the story so far. Given the confident, bragging internal dialog of the protagonist and the liquid nature of the supporting cast, there is no opportunity for emotional connection. The second major problem was the editing; or the lack thereof. The book as written needs the attention of a professional editor. I wanted to be immersed in this story, but I found it too difficult to wade through misspellings, broken sentences, and missing punctuation. Many times a sentence starts with a pronoun used in a previous sentence being reused for a character not yet introduced. You find yourself reading backward and forward again trying to connect the pronouns to the characters as they shift around without warning. And finally, the blocking of action in the story left me baffled and confused. One of the better and more intense emotional interactions between the protagonist and the girl he is saving is described clearly as a face-to-face interaction—at a moment in the story where the girl to snuggled up to the protagonist's back, crouched down low on a speeding motorcycle. Perhaps the protagonist has a face in his back, and I didn't understand? Or perhaps time was stopped to allow this conversation to occur? I really couldn't figure this out. 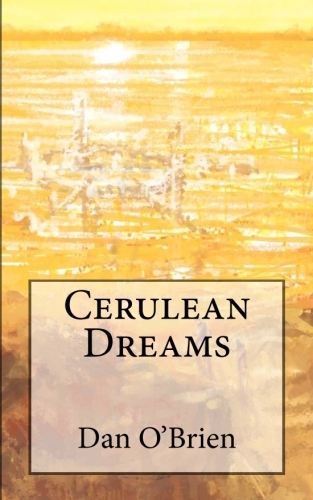 In summary, Cerulean Dreams failed to give the reader a chance to enjoy the experiences, to feel any pain, horror, or joy from the characters. You are left hanging in the corner, to watch the plot develop without interaction or engagement from the characters. But the story has a lot of promise and an interesting technology adjunct, and it touches deeply on the societal changes possible and plausible based on the technology.